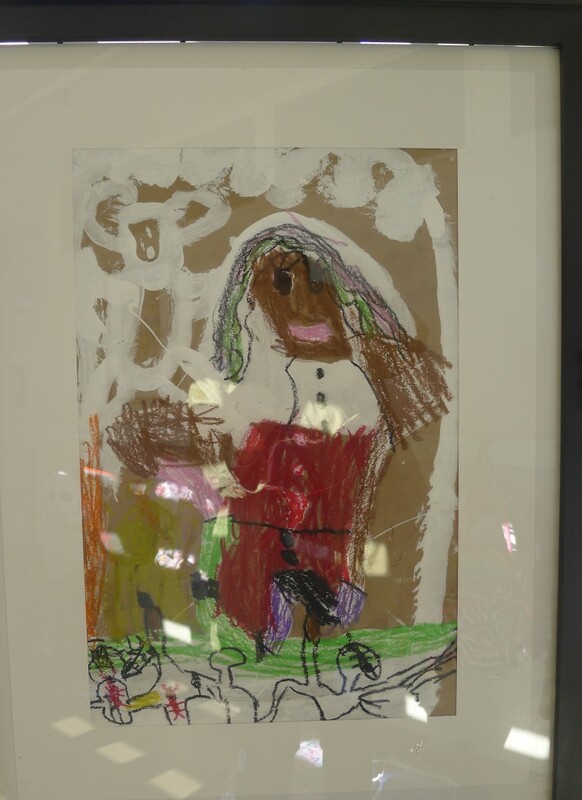 While I was having coffee with a Beth Hillel Elementary School (BHES) board member last month, she invited me to visit the school and I immediately accepted the invitation. I’m always intrigued when I hear the words “progressive” and “religious” in the same sentence, so I set up a date to meet the head of school for a tour. Kathryn Jensen was just announced as permanent head of school, a position she held as “interim” previously. Kathryn is at the top of her game and she’s ready to take the BHES to the next level. At the top of her list is enrolling more interfaith families. Kathryn is incredibly friendly and outgoing, with a warmth and enthusiasm that makes you want to keep talking to her long after its time to leave. She brings a wealth of experience and her enthusiasm for BHES shines. I enjoyed meeting with Kathryn and hearing about her vision for this “hidden gem” of a school. The school is small and nurturing with a bold, robust curriculum, a wonderful combination for an elementary school. At BHES, “Students should believe they are authors, scientists or artists,” says Kathryn. One thing that is certain to remain unchanged is the school’s impressive placement to top secondary schools like Oakwood and Harvard-Westlake. 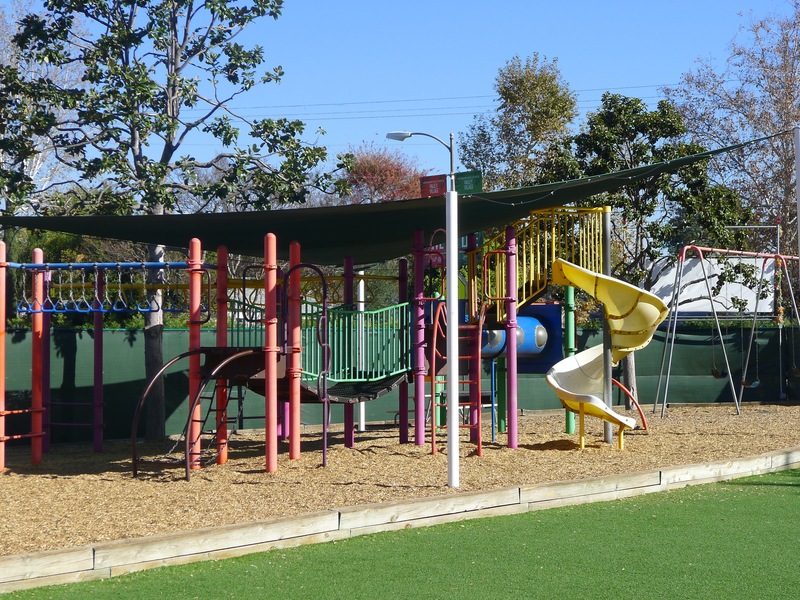 Beth Hillel Elementary School (BHES) is a progressively-minded Jewish Day School located in the heart of Valley Village. Beth Hillel Synagogue, which hosts the school’s campus, is affiliated with the Reform Movement – which means that interfaith, LGBT and families of color feel at home here. For further proof, look no further than the synagogue’s senior spiritual leadership – all female. There are three schools that share the campus; Early Child Education, Religious School and the Elementary School. BHES is a small school with no more than 15 students per class. With such small class sizes, each child receives a significant amount of personal attention, and Individual Success Plans (ISPs) for each child are a big component of BHES’ educational philosophy. These ISPs are created for every student and are crafted by the student’s teacher in collaboration with the student and their family. The ISP sets measurable goals that faculty and family partner on to achieve. These goals may relate to a student’s academic skills, social/emotional toolkit, or work habits. 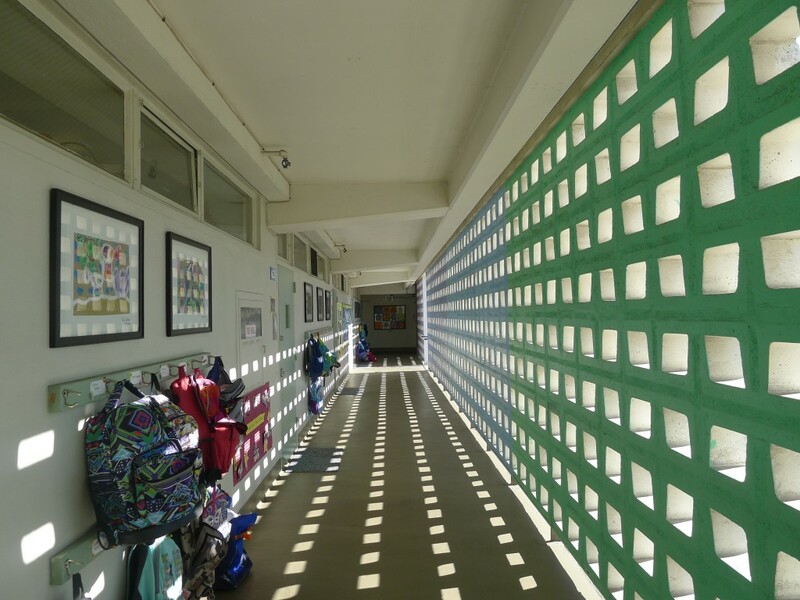 Beginning in Kindergarten, the school opens an Evernote file for every student that preserves a digital record of all of the child’s work, progress, projects and assessments. From worksheets to sound recordings of their first forays into reading, each child’s academic life is diligently chronicled and celebrated. 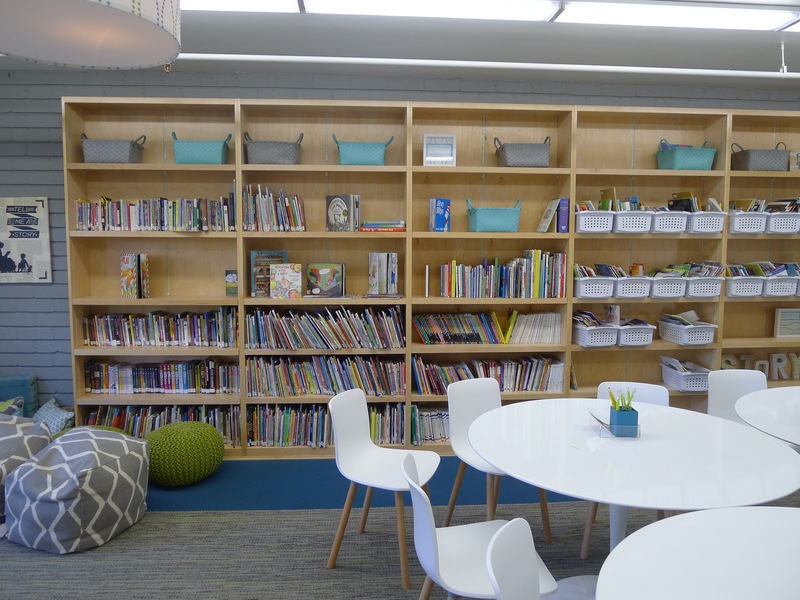 In addition, BHES realizes that different children have different learning styles: If a child would rather figure out a math problem at a standing desk, or do their reading on a giant bean bag chair in a quiet corner of the room, the school empowers students to use tools that make them successful. How fantastic is that? BHES features a cutting-edge General Studies curriculum and the school provides for a significant amount of professional development for its teaching staff. Teachers participate in professional development for a minimum of 64 hours throughout the school year and often attend more advanced trainings, like Teacher’s College at Columbia University, during summer months. 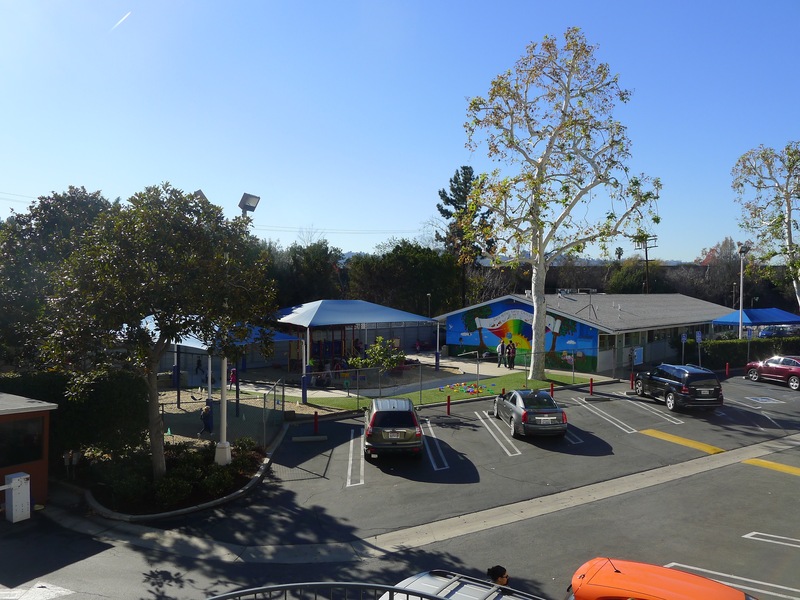 Based in part on research conducted at the UCLA Lab School, the academic curriculum includes scientifically researched programs such as Reader’s and Writer’s Workshop, Responsive Classroom, and Singapore Math. BHES was one of the first schools in the Valley to adopt these highly effective programs, in the belief that more important than their rigorous academic content, these programs teach kids how to think, solve problems, and innovate. In addition, the school offers a strong robotics and technology program and integrates this curriculum throughout the school day. Starting in 2nd grade, students create interactive stories, games, and animations directly in a browser with MIT’s drag-and-drop programming language. The program is designed to teach students to navigate through the multiple stages of development from brainstorming to play testing. 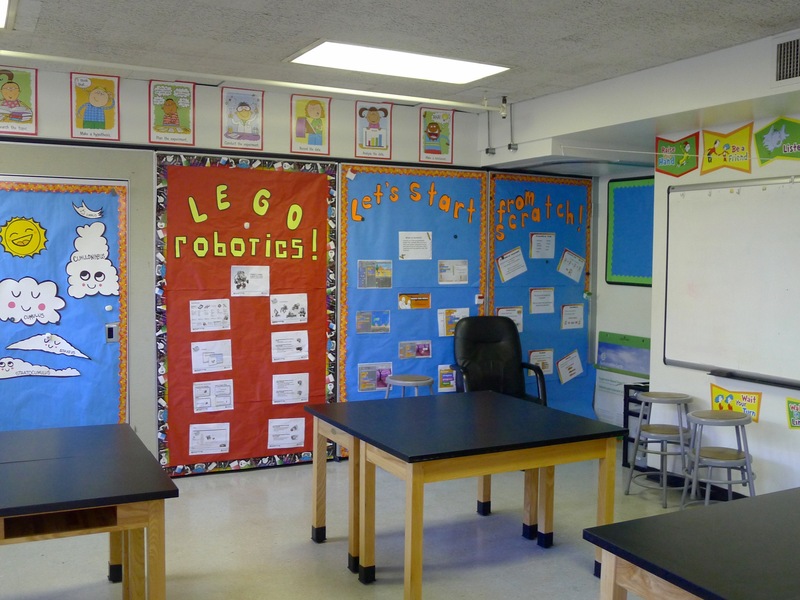 Beginning in 3rd grade, robotics and engineering are part of the science curriculum. Students participate in teams as they learn to program Lego Ev3 Robots and troubleshoot problems that come up. They also learn engineering principles and participate in engineering challenges using the STEAM Trax Design Process. Besides Robotics, Beth Hillel prides itself on complete Arts Integration throughout the school day. Students are learning principles of Constructivism (actively built, experiential, evolving, collaborative, problem-solving, and reflective). Students are engaged in constructing and demonstrating understanding as opposed to just memorizing and reciting knowledge. Students are constructing and demonstrating their understandings through an art form. Students are engaged in a process of creating something original as opposed to copying or parroting. Students will revise their products at least once. 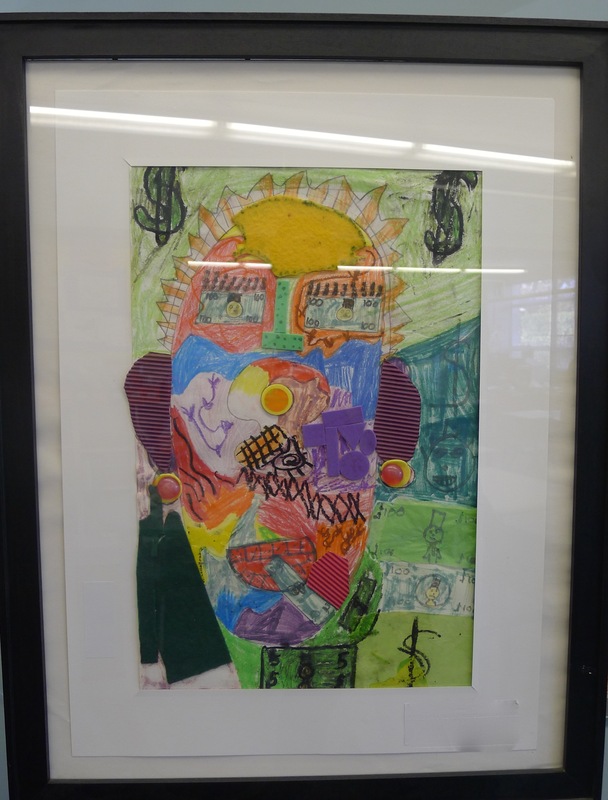 The art form connects to other parts of the curriculum. The connection is mutually reinforcing. There is emphasis on both the art form the other subject areas, as well as specified learning objectives. The objectives evolved since the last time the students engaged with this subject matter. There is one class per grade level. The school’s academic results are impressive. In 2014, Beth Hillel Elementary was ranked #1 nationally on the Measuring Success survey for its math program. 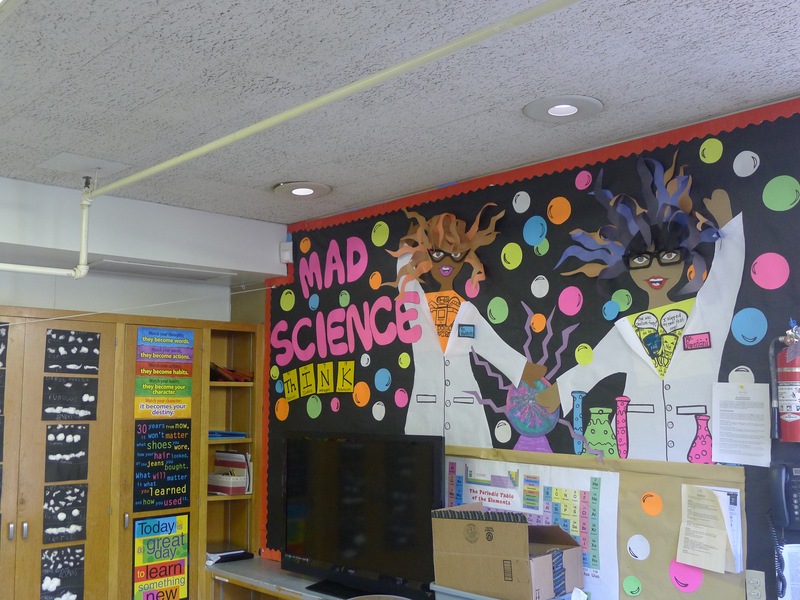 The school also ranked in the top three schools, nationally, for STEAM: science, technology, engineering, arts and math integration. BHES students’ Educational Records Bureau (ERB) results were also impressive: one quarter of their students tested in the 9th stanine, which meant they were in the top 4% of students who were tested nationally. The school is proud that in 2015, 15% of students that were in the qualifying pool, received the Presidential Award for Academic Excellence. A number of BHES students have qualified to participate in the Johns Hopkins Center for Talented Youth (a gifted program). As Kathryn puts it, “We are your partners in raising a mensch.” The entire staff feels very strongly that the educational curriculum must go further than explaining the workings of the world to students. It seeks to provide them with a guide for how to be in the world by promoting empathy, curiosity, optimism, self-control and motivation. These character strengths are scientifically proven to prepare students for further success and fulfillment in life. “Teaching our students to find and nurture these qualities within themselves is as central to our curriculum as the academic disciplines, says Jensen. The Jewish Studies portion of the curriculum focuses on the importance of social justice and social responsibility. 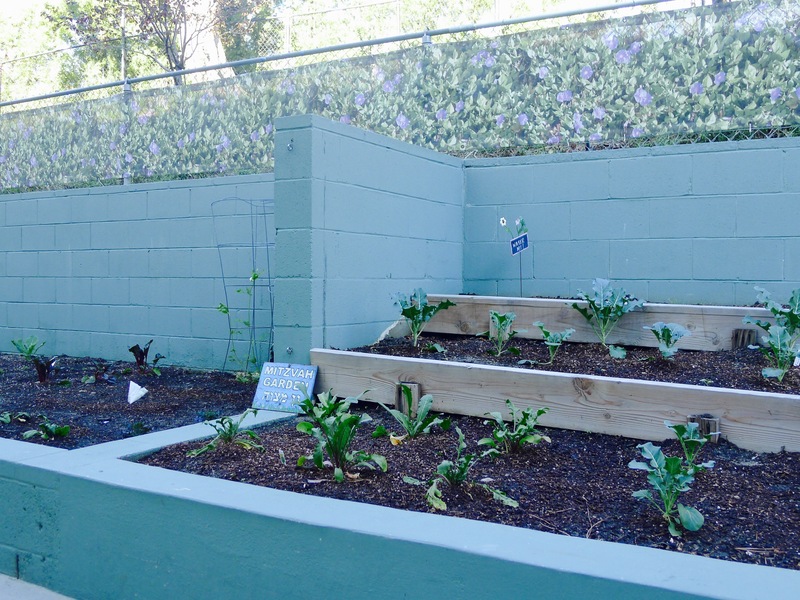 Students put this into practice not only through classroom lessons and projects, but also by growing food in the school’s garden to give to the needy, taking field trips to purchase canned goods and packing them into gift baskets with a personalized card to donate to the local food bank, and collecting tzedakah (charitable giving) and clothing in for those in need. The goal is for all students to understand the responsibility all individuals share to care for each other as human beings. The Religious part of the curriculum supports and enhances the rest of the program. Rabbi Eleanor Steinman, Temple Beth Hillel’s Director of Education, oversees the religious programming. An integral aspect of Jewish tradition is learning to ask questions in an effort to cultivate critical thinking skills. 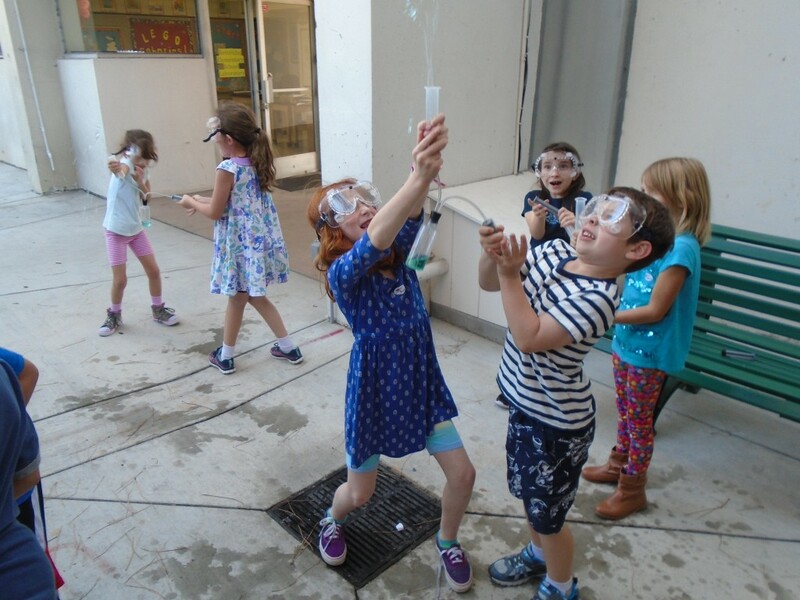 The school’s philosophy supports the belief that a Jewish education and a passionate exploration of the sciences are complimentary to each other, not mutually exclusive. The same philosophy of education to is applied to Judaic Studies as it is to other subjects. Each child learns about Jewish tradition and belief through various music, art and drama projects. Students begin learning to read and write Hebrew in Kindergarten, and learn about their Jewish identity in an environment that is both progressive and inclusive. Many of BHES’ families are interfaith, and students are encouraged to share and celebrate all aspects of their authentic self. 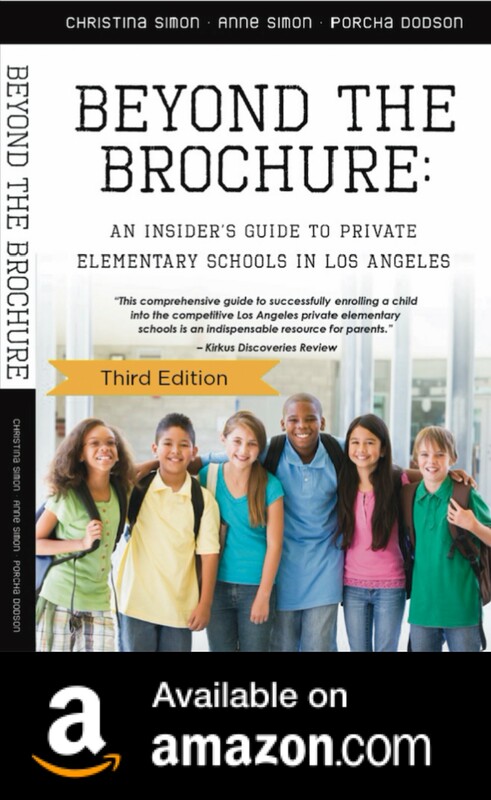 Find Beyond The Brochure on Facebook and get blog our posts, private school event information and more! Are You Fundraising For Your Kid’s L.A. Private School? Read on! When my daughter was in 1st grade, I co-chaired the auction at The Willows School. This is the school’s biggest annual fundraiser and I knew it would be a lot of work. So, I was thrilled when I found out who my co-chairs would be. They were a talented group of professionals who had skills beyond my wildest dreams. We worked together for about nine months from start to finish. When the event was over and the totals were tallied we raised more than $200,000. It was like a full-time job for many of us and at times our nerves frayed, we argued and stress took over. Yet in the end, the event was lovely and successful. We took risks by moving the event to a new venue. We solicited items the school had never auctioned previously. We drank, bid, ate and partied the night of the auction. A fun time was had by all. School auctions (private and public) range from fancy to low-key and everything in between. The culture of your school will set the tone for the event. Create a great theme and tagline and use to brand the event by ensuring that all materials related to the event carry the theme throughout. Use a professional graphic designer for the invitation and collateral materials. If you don’t have one at your school, inquire if there are any parents with expertise or contacts in this area. Don’t be afraid to try new ideas. Fundraising is about what has worked in the past and fun, new ideas. It doesn’t have to be fancy, but it does need to be professional and uncomplicated. Look at the websites of schools similar to yours. What type of auctions/galas have they done? There’s no need to reinvent the wheel when it comes to fundraising. Best practices are very useful for school auctions. Create a schedule that takes you from the current date through the date of the event. Stick to it. Schedule regular committee meetings. Keep an online folder and binder of all your materials (this can be given to the next parent who chairs the event). Make a list of what the school will not accept for donations (used items, etc.). Otherwise, your auctions risks becoming a dumping place for items that have been stored in somebody’s garage for the past decade. This isn’t a garage sale! Start soliciting auction items by putting together a team of experienced volunteers who have been successful in past years. Find the best person to ask a family for a donation if it’s not you. Often being asked by a friend means the difference between a ‘yes’ and an unreturned call.Start by asking for donations from the vendors where you shop–and ask well in advance of your event. You’ll be surprised how willing they are to help their customers. Learn what will/will not sell at your school. Restaurant gift cards are always a hit. Professional services are a harder sell. Include a mix of high end and affordable items so everyone will come and shop! Don’t accept junk like used shoes, even if they are designer. It lowers the quality of your auction. Party Books are a fabulous way to raise money. These are parent-hosted events like dinner parties, wine tastings, lunch events, kids events that each attendee pays to attend and the proceeds benefit the school. Avoid offers of discounted items and used items. You want full donations and new good. Create a compelling, professional letter with the school’s letterhead and all the information a donor will need. Review the school’s database of donors (if it exists). If not, create a list of potential businesses, friends of the school that you will solicit by mail, email and in person. Book your event location as far in advance as possible. 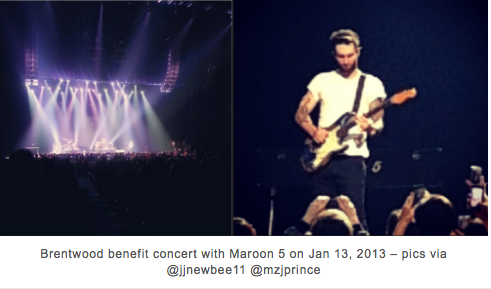 Consider how you will publicize the event to school parents and stakeholders like alumni. What’s the best way to reach them? How many times will you contact them about the event? Create a website, private Facebook Group or a page on the school’s website for all auction information (donation forms, volunteers needed, event date, location, items needed, etc.). Make it easy for parents to find information about the event! 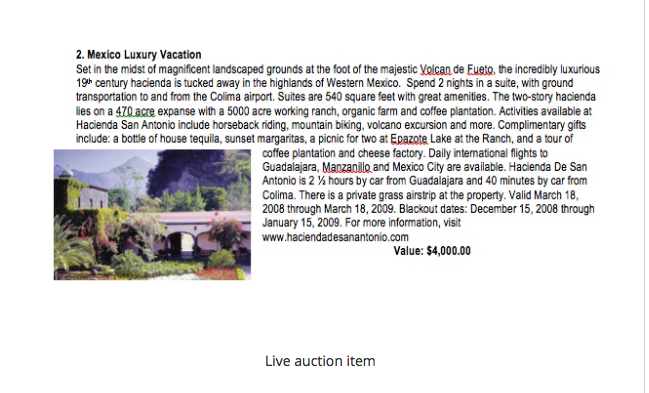 There are good software programs specifically for school auctions/fundraisers. Remember that you’re a volunteer and so is the committee. If you get overwhelmed, ask the school for more volunteers. 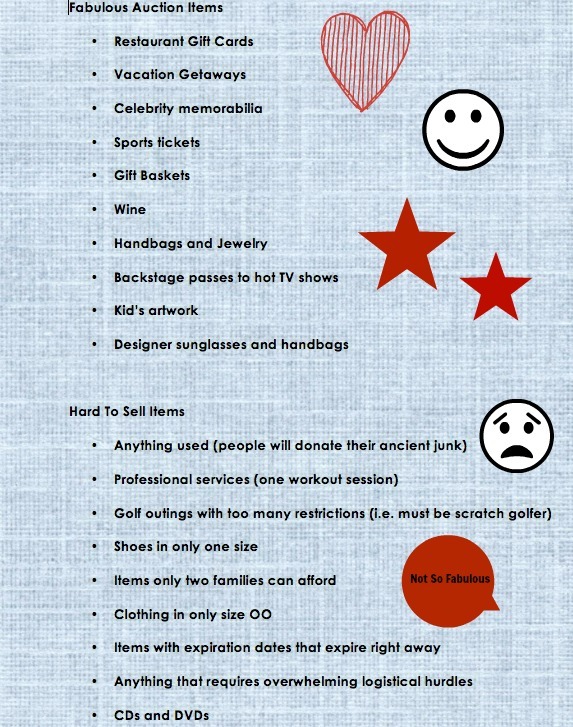 Be kind to volunteers who donate and solicit items, even if the donation is not what you hoped for. Have fun, meet friends, work hard and relax when the event is over. 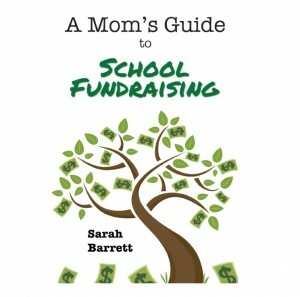 Check out A Mom’s Guide To School Fundraising. 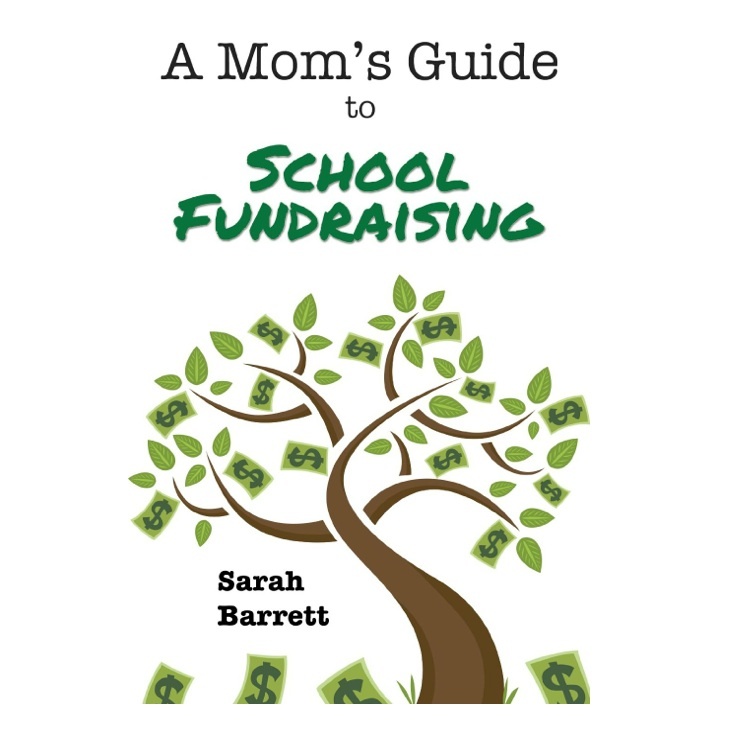 Sarah Barrett, an experienced mom, covers everything from lemonade stands and bake sales to auctions. And, she has an AUCTION SUCCESS KIT! You can read my write-up of the book here. The Center For Early Education has hired Mark Brooks as the new head of school. He will leave Pilgrim School and will replace CEE’s longtime head of school, Reveta Bowers, in July 2016. Congratulations, Mark! 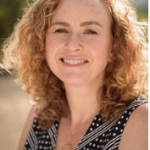 Turing Point School has hired Dr. Laura Konigsberg who will begin July 1, 2016. Don’t miss a thing! Like Beyond The Brochure on Facebook to get posts, events, articles and more.